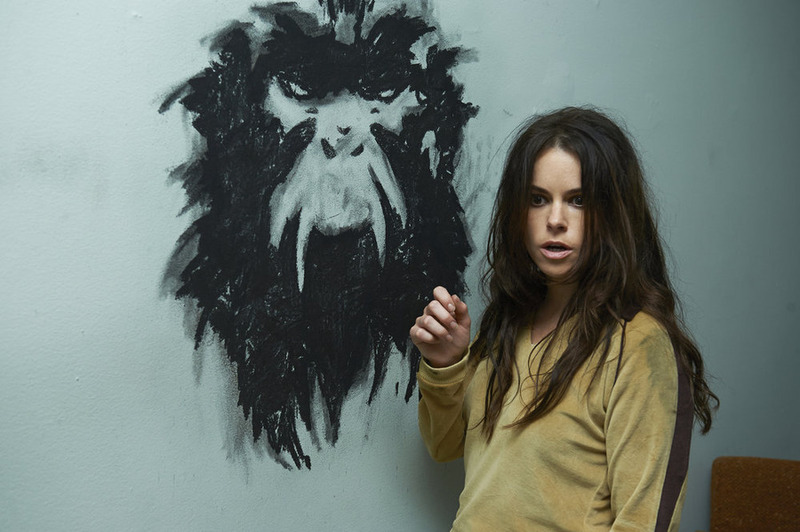 Syfy is making a concerted effort to get back to its scripted science fiction roots and their newest series, 12 Monkeys, is a great step in the right direction. Adapted from the 1995 Terry Gilliam film (has it really been that long? ), Aaron Stanford plays time traveler James Cole (portrayed by Bruce Willis in the motion picture) who ventures from the year 2043 back to the 2000s to stop a viral epidemic from killing most of the global population in 2017. Cole lives in a dystopian future where governments have collapsed and human society is virtually non-existent, albeit small groups of people living underground. Many resort to violence to survive while others scavenge for scraps of food on the surface. Cole is one of the few lucky individuals immune to the virus, but still is barely managing to survive. Recruited by scientist Jones (Barbara Sukowa), Cole is sent back to find Leland Frost, the man supposedly responsible for the outbreak. Upon arriving in the past, Cole’s plans take a turn for the worse causing him to rely on the help of Dr. Cassandra “Cassie” Railly (Amanda Schull). Railly, a top virologist, finds herself drawn to the time traveler despite the negative impact he’s had on her life since their meeting. She joins him in the race to stop the deadly virus and somehow survives without a job (trust fund baby maybe?). Audiences also meet Jennifer Goines, intensely performed by Emily Hampshire, whom in the movie version was Jeffrey Goines played by Brad Pitt. Much like the original character, Jennifer is very mentally unstable and meets Cole in a psych ward where her father, a figure with ties to the virus, has institutionalized her. Stanford gives a strong performance as the reluctant and surly would-be savior of humanity. He was most recently on the CW show Nikita as tech genius Seymour Birkoff. Schull, whom some may remember as Jody from Center Stage, holds her own as the extroverted doctor willing to jump from one dangerous situation to another. The series truly shines as a sci-fi mystery as Cole and Railly try to solve the complicated web surrounding the virus and the Army of the 12 Monkeys, a group they discover to be responsible for the plague. Viewers are introduced to the enigmatic group in the first two hours as well as its apparent leader, the man in black (creepily portrayed by Tom Noonan). 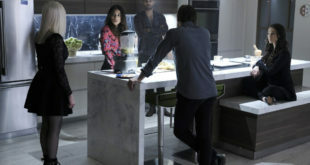 What makes 12 Monkeys so enjoyable is that as an audience member you are also trying to unravel the plot along with Cole and Railly as they meet new cryptic characters. Each episode teases viewers with little bits of time travel information that makes you question how all the puzzle pieces will fit together. Granted there are some over the top moments such as scientist guy proclaiming Cole, “A flesh and blood molecular computer!” I find it best to just ignore the science part. While there has been a host of other dystopian series that have come and gone (Jericho, Revolution, Fringe, etc. 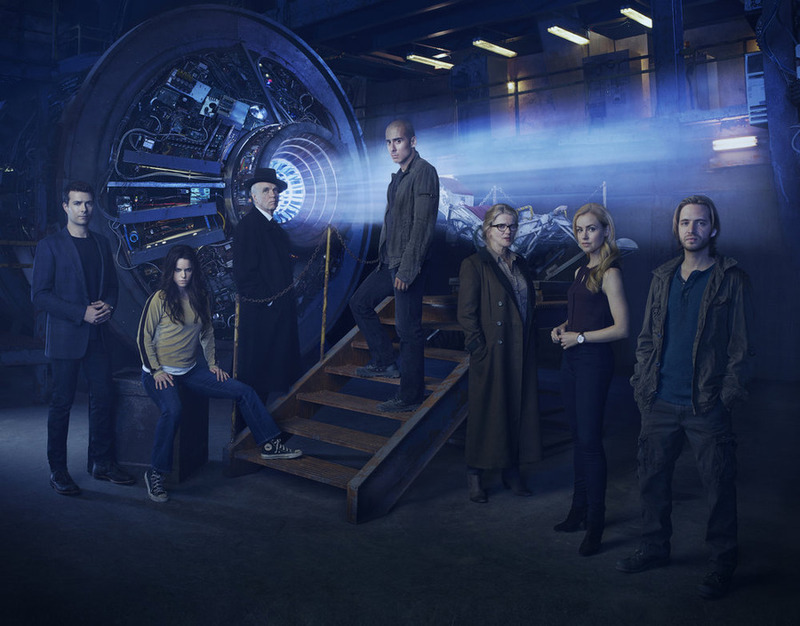 ), 12 Monkeys has the right amount of grit, compelling plotline, and strong characters that is reminiscent of what could be considered Syfy’s crowning jewel, Battlestar Galactica. Some people may be turned off by the dual timeline narrative, but in this case it works because viewers want to see how the past and the future are affected by each time jump. By the end of the second hour you’ll know that you’ve only seen the tip of the iceberg, leaving you wanting more. Whether it will spark the same kind of fervent weekly water cooler discussions over the mysteries in LOST still remains to be seen. If the writers can maintain the same momentum throughout the season, Syfy has a solid series on their hands.